Who do I make my money order out to? "University of Texas at Austin, UIL"
What form do I use to notify the district chair of my waiver application? Send the district chair a copy of the completed waiver application form only. A notification letter is located on the website. The postal service said my package arrived at the UIL today, why haven’t you received it? Once the Waiver Department has received all required documents, your waiver will be reviewed. Within 14 days after the Waiver Officer determines that the application is complete, the Waiver Officer shall, upon the basis of the application and written statements, decide whether the wavier should be granted and the applicant declared eligible. If there is missing documentation, the applicant's coach or athletic director will be notified via email. Check with the coach to determine if the application is missing information. How long is the waiver process? Within 14 days after the Waiver Officer determines that the application is complete, the Waiver Officer shall upon the basis of the application and written statements decide whether the wavier should be granted and the applicant declared eligible. The principal & the chair of the DEC will promptly be notified via email. A hard copy will be mailed to the principal, district chair, superintendent, and applicant. Should I send the PAPF to the District Executive Committee Chairman when I know I have to apply for waiver? Yes, the chair has to approve the PAPF and sign it before applying for a waiver. Should District Executive Committee Chairman complete section IV on the PAPF when I'm applying for a waiver? Yes, section IV should be signed and noted that a waiver is being applied and the student is sub-varsity eligible. What does a J-1 Visa look like for the Foreign Exchange Waiver? 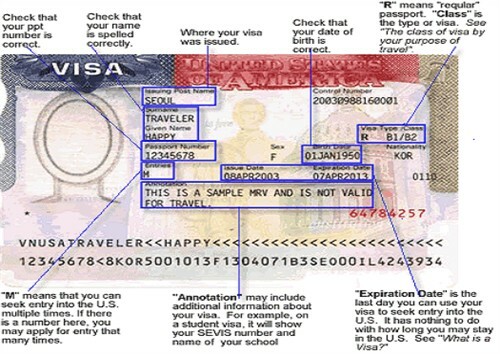 What does the DS-2019 form look like for the Foreign Exchange Waiver?